Last Night, The Blower included boycotting sponsors and condemned Nike, which had just made Colin Kaepernick the face of Their 30th anniversary “Just Do It” campaign. But What Should All Of Us Patriotic Americans Be Watching Tomorrow Night During The NFL Kickoff Game Boycott? But If You Really Have To Watch Football, Caleb Hull Offers This Video On Twitter. That’s because during the next 62 days until the most important Mid-Term Elections in History (since the 2018 Mid-terms are now a National Election –more than mere mid-terms– and a referendum on everything Trump has accomplished), while Congress and the Leftist Media Establishment will continue to lie and say really stupid things without a smidgen of journalistic integrity in their effort to advance their Radical Leftist Agenda. Beloved Whistleblower Publisher Charles Foster Kane Says The Conservative Agenda Is Now Completing Working On Donald Trump’s Fifth 100 Days To Make America Great Again. Today Is Day Number 593. 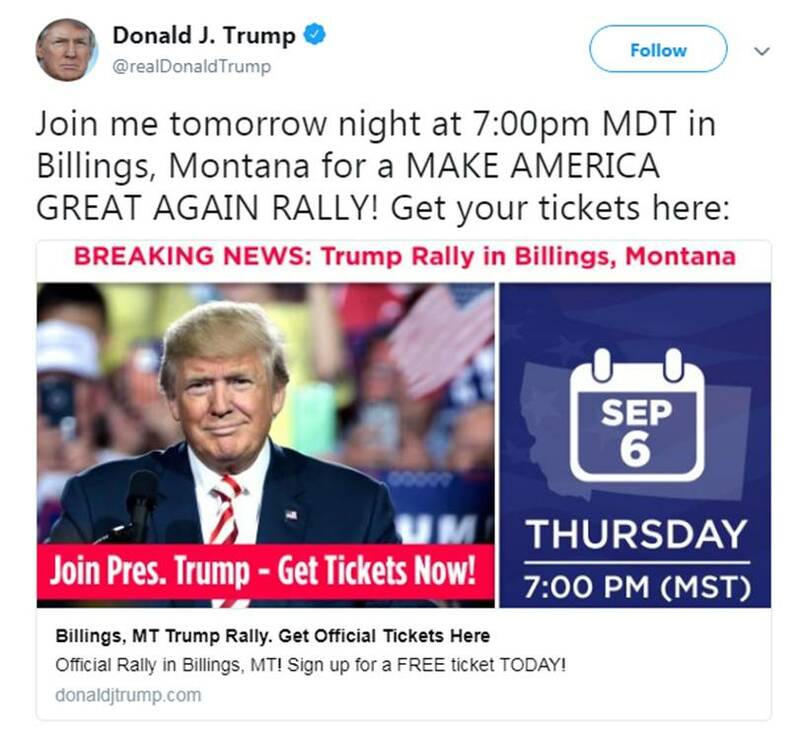 There Are Now Only 789 More Days Until Trump’s Re-election Day on November 3, 2020. 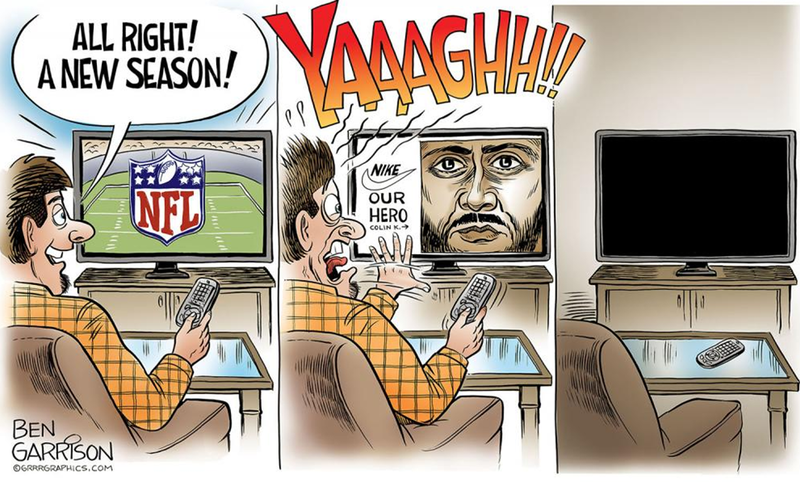 This entry was posted in Uncategorized and tagged "Whistleblower NFL Boycott Countdown Update" Page, Ben Garrison, Caleb Hull Offers This Video On Twitter, Colin Kaepernick the face of Their 30th anniversary “Just Do It” campaign, Hey Nike You "Just Blew It", Montana, Trump Rally on September 6, 2018 by charlesfosterkane.